Kistenmacher brand, original from Germany. 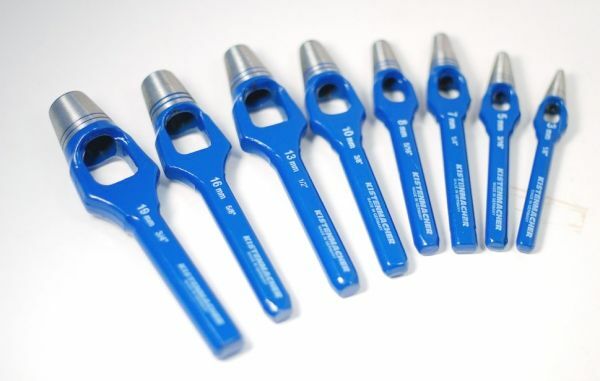 Hollow steel arch punch offers long-lasting punches made of hard-forged steel. Fully polished barrels and enamelled handles with an inside taper- clearance hole for creating holes in rapid succession without clogging the cutting surface. The punches work well for stamping out cardboard on leather, rubber sheet metal, gasket material and other relatively soft surfaces. Cutting edge hardened, shaft enameled blue.